For many of us, the outdoor growing season may only be as long as 4 to 6 months. However, the enjoyment of growing plants can easily be extended with indoor gardening, where you can enjoy the beauty of houseplants during the entire year. Here’s the deal. Many houseplants are easy to grow making indoor gardening a must for any plant lover. They add moisture and oxygen to the air. They give you a sense of accomplishment which is great for our mental health. They can be enjoyed all year long. 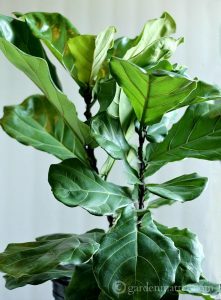 I’ve already written about several of these gorgeous plants including the Fiddle Leaf Fig, and Zamioculcas zamiifolia aka ZZ plant. Two that I have not discussed, but are also very easy to grow are the Sanseveria aka Snake Plant, and the Monstera deliciosa aka The Swiss Cheese Plant. Please note: Some plants are known to be toxic to cats, dogs and other pets. If you are a pet owner, please do check the toxicity of plants before introducing them to your home. Next time you are at the nursery, big box store, or even the supermarket, consider bringing home a houseplant. Better yet, pick up two. One for you, and one for a friend. You can even tag it with a fun card about the houseplant’s symbolism. 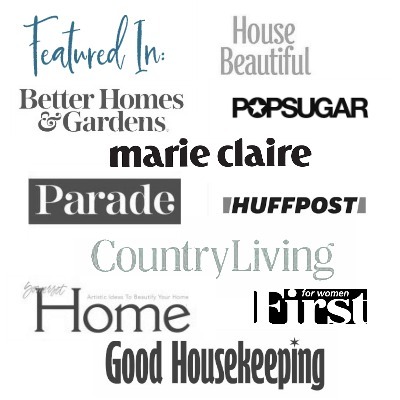 Here are a few great articles written by some experienced garden bloggers about indoor gardening that you will find very interesting and informative. I am the worst indoor plant killer EVER, Patti! You’d think that because I can grow great plants outdoors I could grow them inside as well. Nope! I can only keep violets alive. 🙂 I do like all of your plants, though. My MIL grows lots of hanging vines inside and one of my brother’s used to have a jungle in his bedroom when we were in high school/early college. Alas, I can only pin your pins as it’s only faux for me indoors! Hmmm I think you need to find the right plants for you. If you have success outside, indoors should not be to hard. In fact, violets are difficult to grow for lots of people. They are fussy and if you have success with them then I think you might want to try again with another. My biggest problem over the years was always over-watering. Maybe that was your problem too. You know I’ve never really been into house plants and I guess it’s because we have such a long growing season down here. Hoping when we get moved in our Tiny house I can change that and add a few here and there because I agree they’re great for mental health and also offer purpose. House plants are how I first feel in love with plants. My mom let me grow a few in my bedroom. I had African violets, spider plants and a few others. Of course, I’ve always lived up north, so they have been wonderful during the short growing season. I’m sure that’s one of the reasons I love them. I hope you get a chance to add some to your tiny house. Maybe go for hanging plants to help save on space.